There are many situations when your smartphone heats up. Modern handsets are faster than ever before. Their processing power is comparable to the top computers a few years ago. However, unlike a PC, a phone does not have an active cooling solution. There are no fans like there are on conventional computers. That’s why sometimes smartphones heat up with constant medium or intense use. However, if the phone gets so hot that you can’t even hold your phone, we have something to worry about. 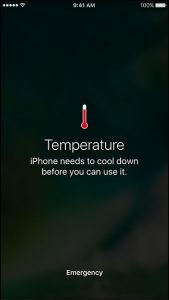 So, it’s a good idea to know what to do when your smartphone heats up. In this post, we are going to tell you what to do when your phone gets really hot to prevent a disaster. Most smartphones have a mechanism which prevents overheating. If your smartphone gets really hot, it could become slower. You might not be able to take pictures os use the flash. 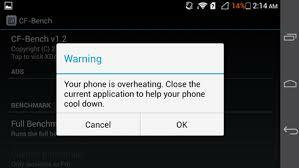 Some phones display a temperature warning to prevent users from using a phone when it gets really hot. These mechanisms have been set in place because heating scenarios can escalate to worrisome levels sometimes. If your phone heats up to a level that the phone battery or a part of the battery swells up, do not use it. Switch it off and remove the battery if possible. Take your phone to the service center after that. If your phone gets unusually warm when you charge it, disconnect the phone from the charger. Replace the charging cable and the plug adapter. Try connecting it to your laptop and check if the phenomenon happens again. If replacing charging mechanism and accessories doesn’t help, stop using it and visit the service center. If the part of your smartphone which you hold up to your ear gets hot, then this could be pretty dangerous and you may end up burning yourself. When this part of the phone heats up, it indicates that there is an issue with the handset. Sometimes the screen of the phone gets hot too but if your touch screen gets really hot, it also indicates a deeper problem with the phone. 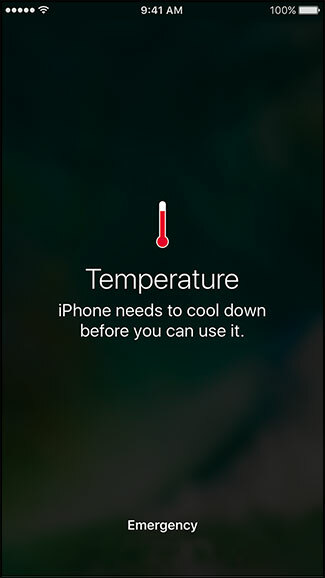 If you ever forget your phone in a car or in the sun for several hours, it might heat up. If your phone is still functional, switch it off immediately. Do not cover the phone or put it in your pocket, bag, or the refrigerator. Keep the phone in shade for 10 minutes and then you can try using it again. If you use heavy apps, play games, or doing video/photo editing on your smartphone, it might heat up. However, as long as it is not so hot that you cannot hold it, there is nothing to worry about. However, it is advisable to avoid using your phone under such circumstances. 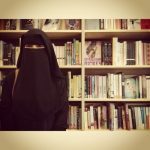 A lot of us like to keep our smartphone in protective cases. These protect the phone from damage and can sometimes improve its aesthetics too. If you keep your phone in a case and it heats up, you should try removing it from the case and see if that resolves the problem. If you keep your phone in a sweaty pocket all the time or if your phone was accidentally exposed to liquid, it can display overheating and power issues. Try locating the LDI (Liquid Damage Indicator) sticker(s) on your smartphone to ensure that your smartphone is not having any side effects of liquid or moisture damage. If your smartphone heats up and it was in a water-based accident, it might have moisture damage. If you are always on your phone during the day and charge it throughout the night, have some mercy and give your phone a break. Power it off for a while if possible. 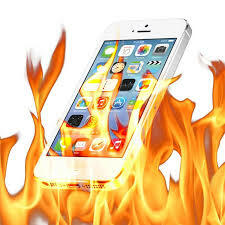 When apps and process are constantly running, it can cause minor software problems and cause the phone to overheat. If this happens, just try restarting your phone. Sometimes, unneeded features and functions can cause your phone to go into an overdrive. For instance, if you have an animated wallpaper and a million widgets on your phone all running at one, it will make your phone work harder and could cause it to heat up. So, just disable the features and widgets that you dont need. Sometimes, overclocking can also make your phone heatup. If you have customized or maniplated your Android smartphone software to make it faster or run differently, than expect your phone to heat up. Unlike a computer, you a cannot add a fan to your smartphone to keep it cool. If you overclock your Android and it gets hot, it could shorten the lifespan of your smartphone and can even lead to hardware damage. Although outdated software doesn’t cause your phone to heat up, an updated software can ceratinly help your phone run smoothly. This will cause lesser strain on your phone and might prevent it from overheating. Similalrly, if your phone started heating up after the installation of a ceratin app or game, you might want totemporarily uninstall it and check if that resolves the problem. If nothing seems to work, and your phone is less than a year old and doesn’t have any liquid or physical damage, then your phone is still under the manufacturer’s warranty. 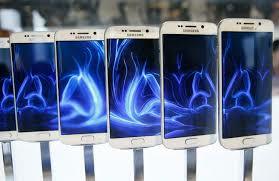 The manufacturer will be responsible fot the replacement/repair of the phone. However, if your phone isn’t covered, and it can’t be repaired, then your only option is to get a new phone. Does your smartphone heats up a lot? Which phone is it? Share with us in the comments below!